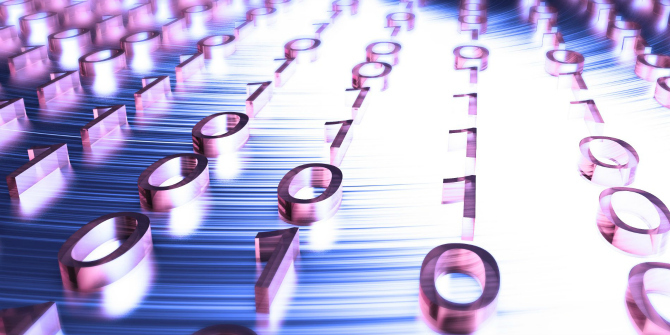 In We Are Data: Algorithms and the Making of Our Digital Selves, John Cheney-Lippold examines how algorithms increasingly interpret and influence our behaviour. With the author concluding with some pragmatic suggestions for challenging the digital status quo, Daniel Zwi welcomes the book for both capably elucidating the problem of algorithmic regulation and forearming us to tackle this issue. 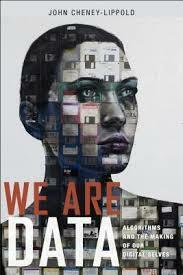 We Are Data: Algorithms and the Making of Our Digital Selves. John Cheney-Lippold. NYU Press. 2017. In 2013, a 41-year-old man named Mark Hemmings dialled 999 from his home in Stoke-on-Trent. He pleaded with the operator for an ambulance, telling them that “my stomach is in agony”, that “I’ve got lumps in my stomach”, that he was vomiting and sweating and felt light-headed. The operator asked a series of questions — “have you any diarrhoea or vomiting?”; “have you passed a bowel motion that looks black or tarry or red or maroon?” — before informing him that he did not require an ambulance. Two days later Mr Hemmings was found unconscious on the floor of his flat. He died of gallstones shortly after reaching hospital. This episode serves as the affective fulcrum of We Are Data: Algorithms and the Making of Our Digital Selves, John Cheney-Lippold’s inquiry into the manner in which algorithms interpret and influence our behaviour. It represents the moment at which the gravity of algorithmic regulation is brought home to the reader. And while it may seem odd to anchor a book about online power dynamics in a home telephone call (that most quaint of communication technologies), the exchange betokens the algorithmic relation par excellence. Mr Hemmings’s answers were used as data inputs, fed into a sausage machine of opaque logical steps (namely, the triaging rules that the operator was bound to apply), on the basis of which he was categorised as undeserving of immediate assistance. The dispassionate, automated classification of individuals into categories is ubiquitous online. We either divulge our information voluntarily — when we fill out our age and gender on Facebook, for example — or it is hoovered up surreptitiously via cookies (small text files which sit on our computer and transmit information about our browsing activity to advertising networks). Our media preferences, purchases and interlocutors are noted down and used as inputs according to which we are ‘profiled’ — sorted into what Cheney-Lippold calls “measureable types” such as “gay conservative” or “white hippy” — and served with targeted advertisements accordingly. The effects of this ecosystem extend beyond the vague sense of unease we feel when, for example, a Facebook advertisement for flights to Germany appears on our laptop after we have searched for Berlin accommodation on our Airbnb mobile app. “We kill people based on metadata”, says a former NSA chief in We Are Data, explaining that all it takes to be categorised as a “terrorist” is for your communications footprint to match a relatively arbitrary and algorithmically-determined assemblage of data points. You live in Somalia, rent a truck, buy ammonium nitrate fertiliser and talk to someone who’s talked to someone unsavoury, and before you know it you’re fair game for drones. Image credit: Nullen und Einsen aus Glas auf Metal mit violettem Filter- IT – Computer -Data by Christoph Scholz. This work is licensed under a CC BY-SA 2.0 license. Cheney-Lippold describes a world in which algorithms giveth and taketh away. The US government categorises internet users as “citizens” or “foreigners” based on the extent to which their online activity conforms to the NSA’s template for each group. Communicating with overseas accounts on Twitter, having an email contacts list which includes people reasonably believed to live outside the US, even sending messages in a language other than English: all these traits increase one’s “foreignness” according to the NSA’s algorithmic calculus. Needless to say, only those deemed citizens are afforded a full complement of constitutional rights online. We Are Data makes plain, then, that profiling is not just about shifting products. But the preponderance of the book’s content attends to the more nuanced ways in which algorithms regulate our lived experience. In a process termed “modulation”, Cheney-Lippold argues that profiling exerts control via the allocation of knowledge itself. By this he means more than simply the phenomenon of online echo chambers, whereby internet users are increasingly exposed to media outlets and acquaintances who share and thus entrench their views. Profiling, he emphasises, governs the production of information as well as dictating who gets to consume it. Thus, when a “white man” visits the Guardian website, its aggregate demographic profile becomes commensurately whiter and more male. Faced with this information, an editor can either double down on their existing content to retain this core audience group or they can publish new kinds of material in order to attract, say, “black women”. In either case, the algorithm has done more than merely steer content towards those inclined to accept it. Profiling influences what Michel Foucault calls society’s “discursive topography”, modulating public and media discourse and thus delimiting what can be uttered and understood. If this all sounds a bit dire, I suppose that’s because it is. But the final chapter, on privacy, contains Cheney-Lippold’s prescription for wresting back control online. He endorses a technique that Helen Nissenbaum has called “obfuscation”, involving the flooding of an algorithmic system with extraneous and arbitrary data in order to compromise its predictive capacity. In concrete terms, this could mean utilising applications such as TrackMeNot, which, every six seconds and on four different search engines, launches random queries from your browser. Tor is also identified as an effective means of stymieing the formation of profiles. It’s a shrewd way to finish the book. As well as presenting grounds for optimism, the chapter rounds off a neat transition from the abstract (previous sections focus on categorisation, control and subjectivity) to the pragmatic. Having said that, there are stylistic tics in We Are Data that distract from the logic of the structure. New authors to which the text refers are invariably given their own pedagogical epithet. We are introduced to the work of “digital theorist Seb Franklin”, “media scholar Joseph Turrow” and “literary critic N. Katherine Hayles”. Aside from feeling a bit gratuitous, Cheney-Lippold quickly runs out of labels, such that towards the end of the book authors are somewhat meaninglessly described as “theorist Tiziana Terranova” or “scholar Victor Mendoza”. There are also relevant legal debates whose absence from the chapter on privacy is conspicuous. To be sure, We Are Data is not a legal text, and the author cannot be expected to cover every discipline’s approach to algorithmic regulation. But the chapter begins with a detailed account of how US law is inadequate for ensuring that users know when, how and why they are profiled. A short discussion of EU measures which have been introduced precisely to ensure such disclosure would have enriched the argument. In the book’s conclusion, Cheney-Lippold characterises Mark Hemmings’s death as a tragedy of knowledge. The telephone conversation is so disturbing because he had no idea that his answers were being used as algorithmic inputs: that they were being datafied, quantified and processed unilaterally to determine his fate. There is something nauseating about informational asymmetry on this scale, particularly when so much is at stake. But if knowledge is indeed the means by which we can begin to challenge the digital status quo, then Cheney-Lippold has done much to forearm us by so capably elucidating the problem. Daniel Zwi is a lawyer with an interest in human rights and technology. You can find him on Twitter @dan_zwi.